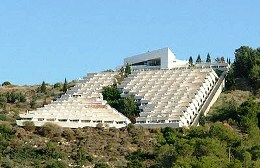 Surrounded by acres of natural woodland, the Havat Habaron Hotel Zichron Yaakov is an ideal retreat for those wanting to appreciate nature at its best. 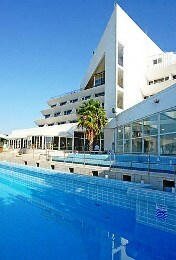 Located in Zichron Yaakov, the Havat Habaron Hotel is placed between Tel-Aviv and Haifa . The hotel offers rooms that are well equipped with a host of amenities to make you feel comfortable all through your stay. All the rooms come with an open terrace overlooking the Mediterranean Sea . You can relish the delicious food served at the dining room located close to the lobby. Baron Heights Suites –features a living room with double sofa-bed, a bedroom, with double bed and bathroom. Can accommodate a maximum of 3 people. 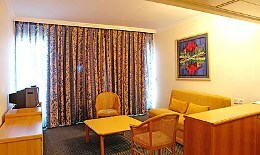 Baron Suites –features a living room with a double sofa bed, two bedrooms. Every room is fully air conditioned and equipped with a color Television and telephone. Can accommodate a maximum of 4 people. The hotel offers excellent banquet and conference facilities for you to host your desired event. At leisure, you can make yourself comfortable with your favourite drink at the lobby or just soak up the sun at the wonderful swimming pool. The fully equipped gymnasium is an ideal place to train and tone your body and the sauna is the best place to sweat out your stress.